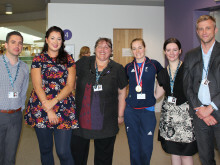 Paralympian swimmer and motivational speaker Claire Cashmore visited Number One Riverside on Thursday 25 September to talk about her many achievements against the odds and prove that disability is not a barrier to success. Nine adult learners with Portuguese as their first language, who completed the Six Book Challenge were given certificates to mark the occasion by Deputy Chief-Executive Linda Fisher. 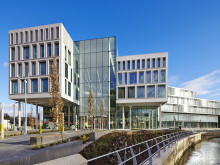 At 8.30pm on Saturday, Rochdale Borough Council will help to build a brighter future for our planet by supporting WWF’s Earth Hour and are urging residents and businesses to get involved too. 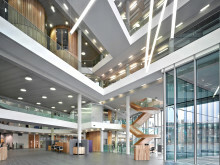 The ‘jewel in the crown’ of Rochdale town centre’s regeneration, has won another prestigious award. A spectacular musical performance described as ‘like no other’ is being put together as part of this month’s Rochdale Literature & Ideas Festival, and will be performed in its entirety during the festival on Friday 25 October.